TAMPA, Fla. - There's a different vibe around Geno Auriemma and his UConn Huskies at this year's Final Four. Unlike the previous two years, they don't have the burden of a record winning streak or an unbeaten season. 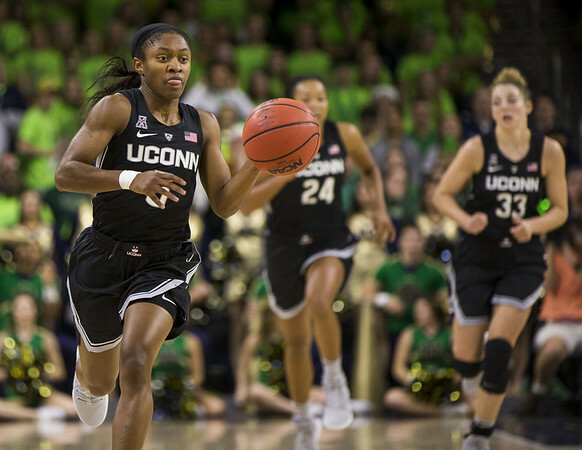 Heading into their showdown with rival Irish on Friday night, the Huskies have already lost two games this season and don't have as Auriemma put it “the fear of losing” this year. “For the first time, I can honestly say in a long time, in the UCLA, second half, and the Louisville game, I was coaching a Connecticut team that wasn't burdened by afraid to lose and was playing to win,” he said. Posted in New Britain Herald, UConn on Thursday, 4 April 2019 21:21. Updated: Thursday, 4 April 2019 21:24.